Mandy Fish: Evil Twin Chic. I Dream of Evil Mandy. 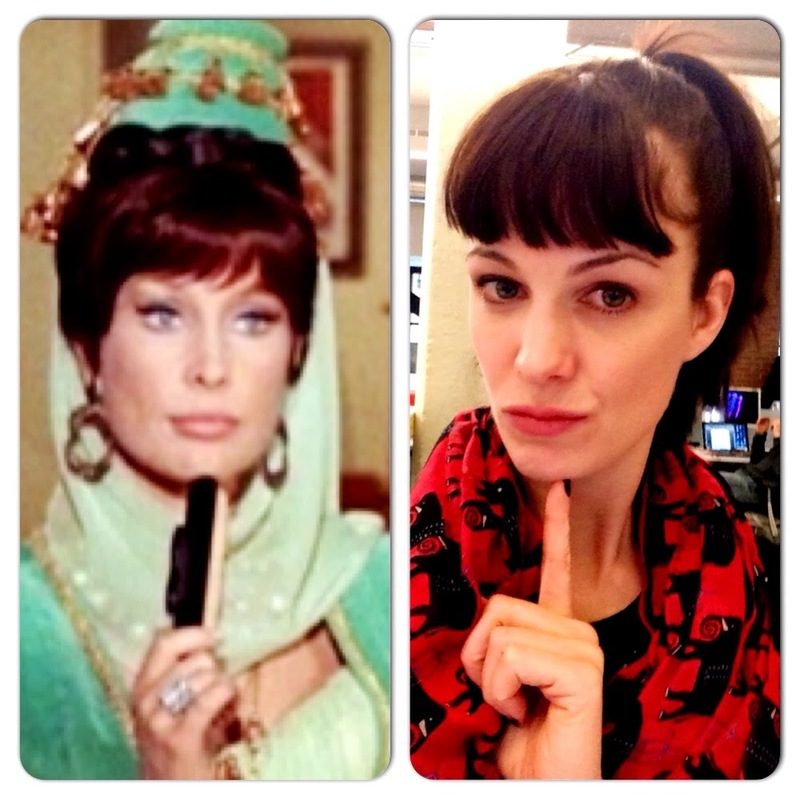 One of my co-workers just informed me that I look like I Dream of Jeannie's evil twin. This delights me of course. If I could purposefully cultivate a signature look, it would definitely be of the evil twin genre. If you would like to hear about my non-evil-twin side, you can read about my attempts to do 90 prostrations and 99 chants to make up for my slackerism. And then you can watch a short demonstration video by my three-year-old daughter. We're getting all multimedia up in hurrrrrrr. They say we all have a celebrity lookalike!! Mine is Scooby Doo. Bah bah! Bah bah bah bah bah! Bah bah! Bah bah bah bah bah! Bah bah! Bah bah bah bah bah bah! Bah! Badumbumbump! And thank you. I've hired professionals. Evil twins have sooo much more fun . 99 prostrations ... not too evil ..